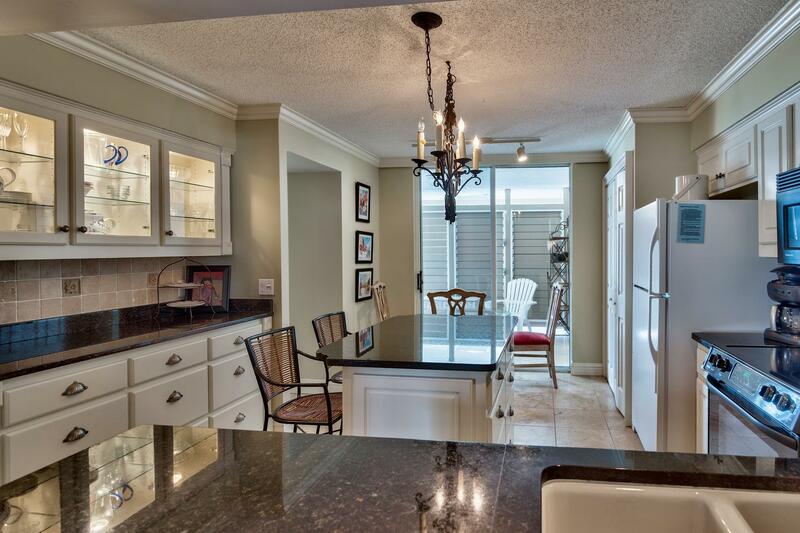 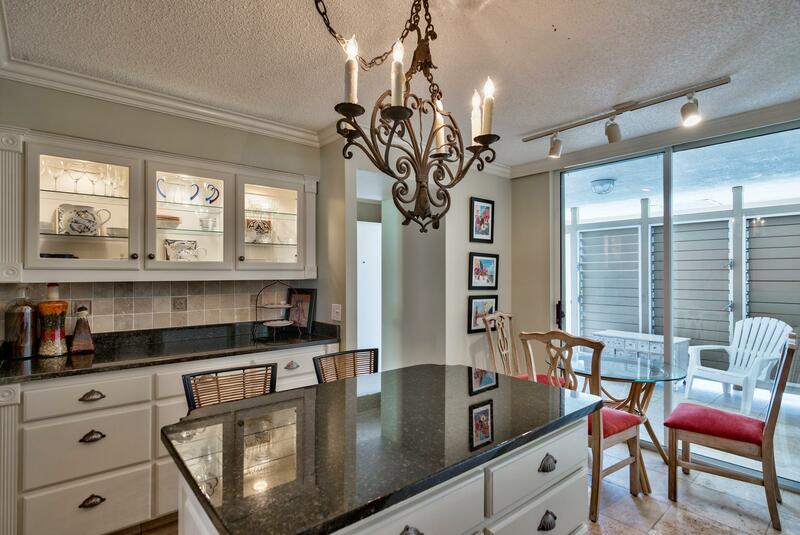 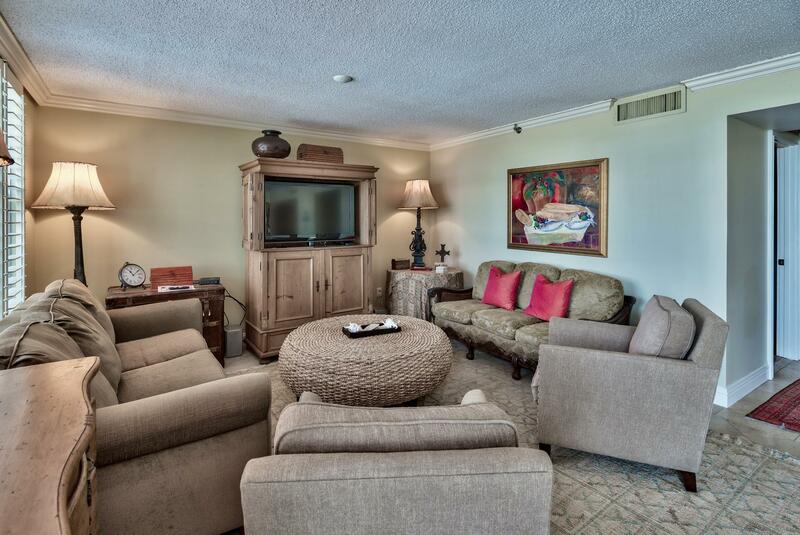 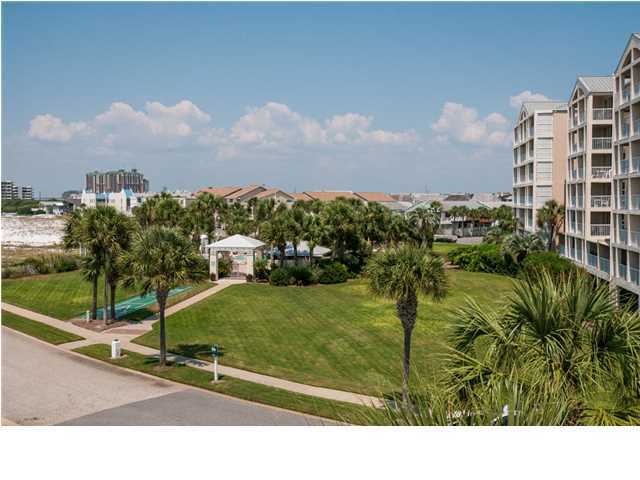 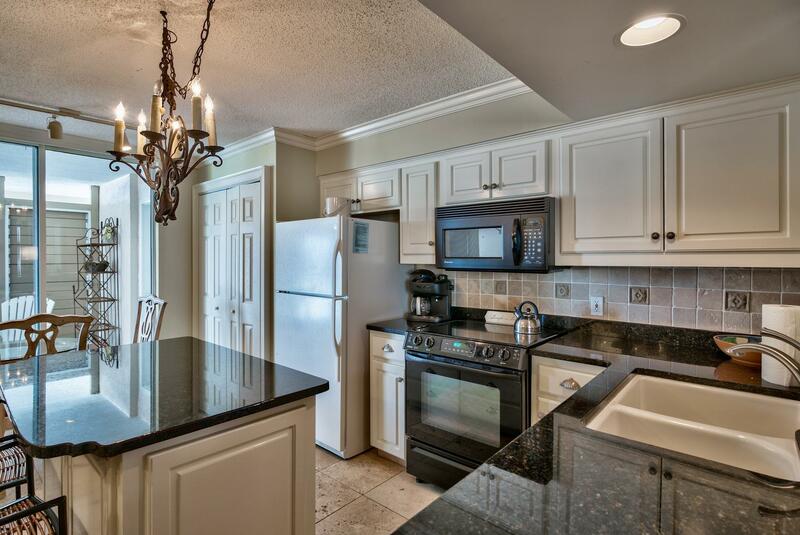 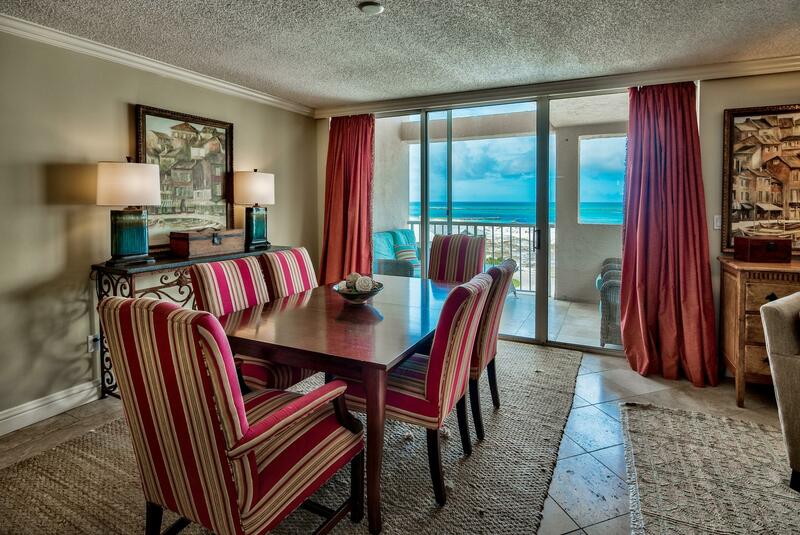 This expansive top floor/penthouse condo is exquisitely appointed and is the largest condo in Magnolia House. 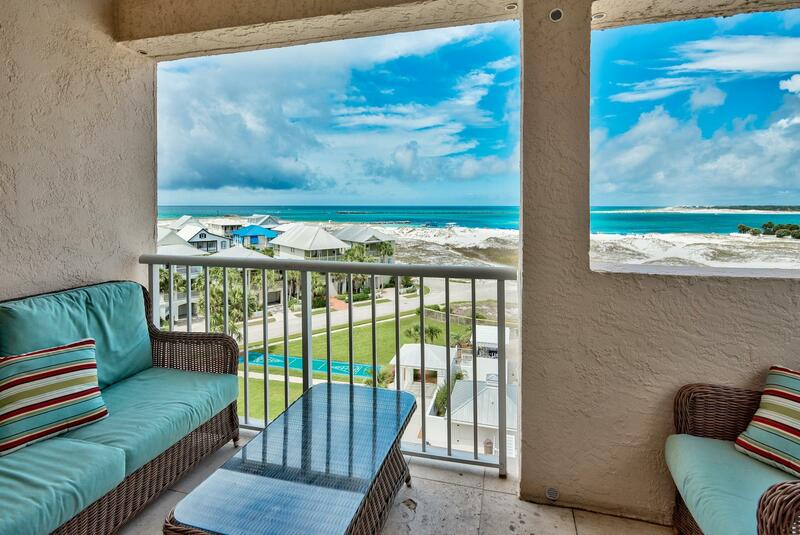 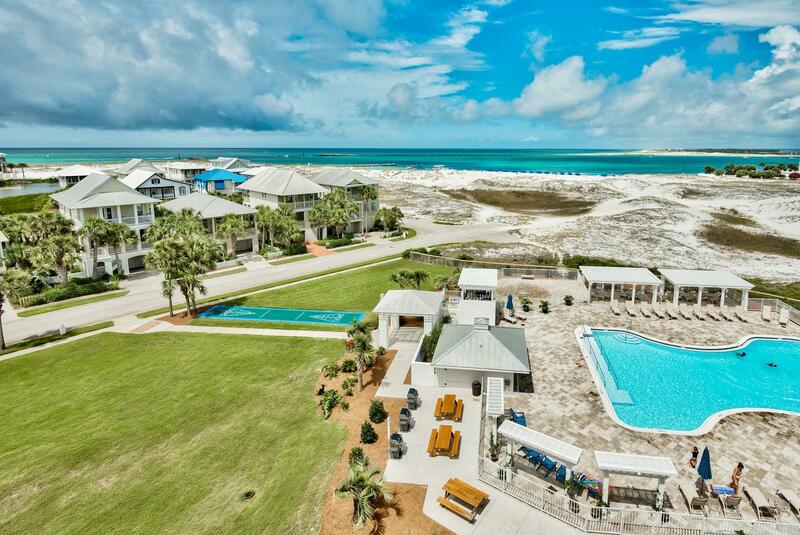 The open living/dining/kitchen areas are ideal for entertaining and offer breath taking views of the Gulf and Destin's East Pass. 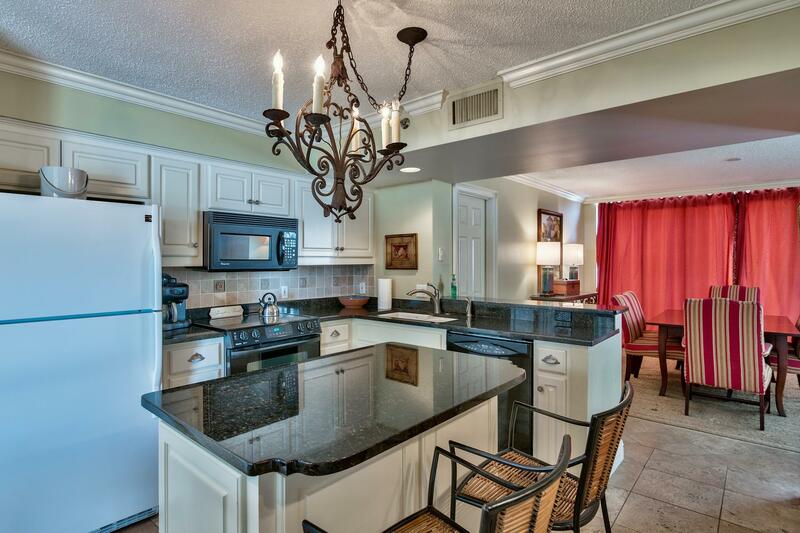 This penthouse features stone tile floors throughout its French coastal decor............ 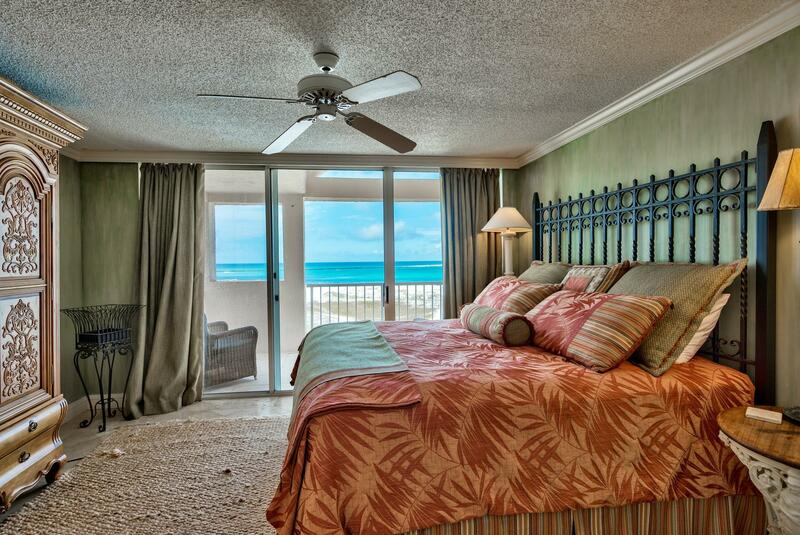 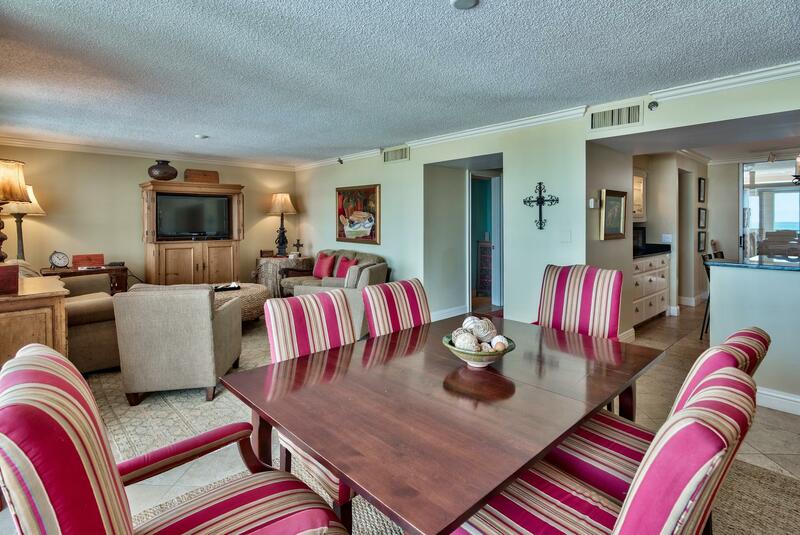 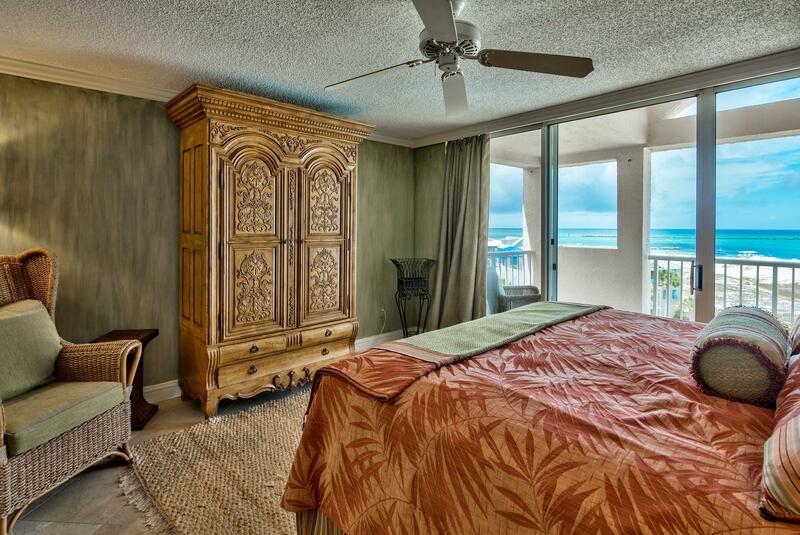 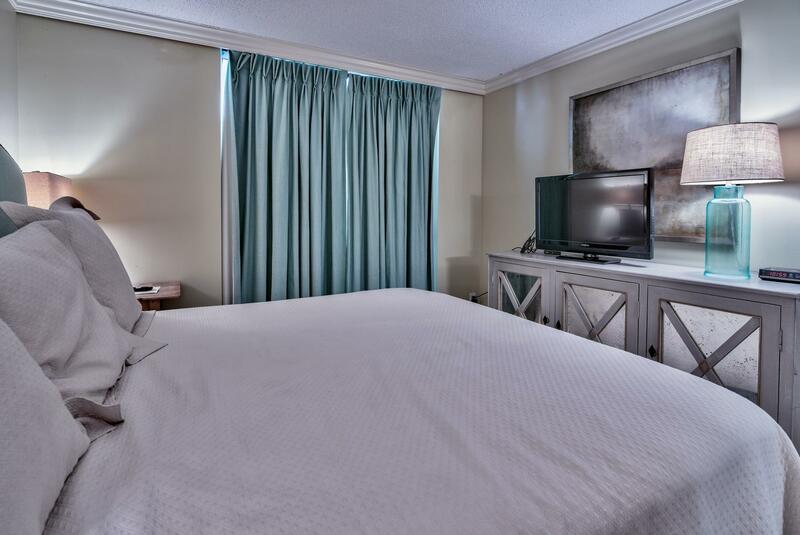 The Master Suite is Gulf front and features its own balcony and walk-in closet. 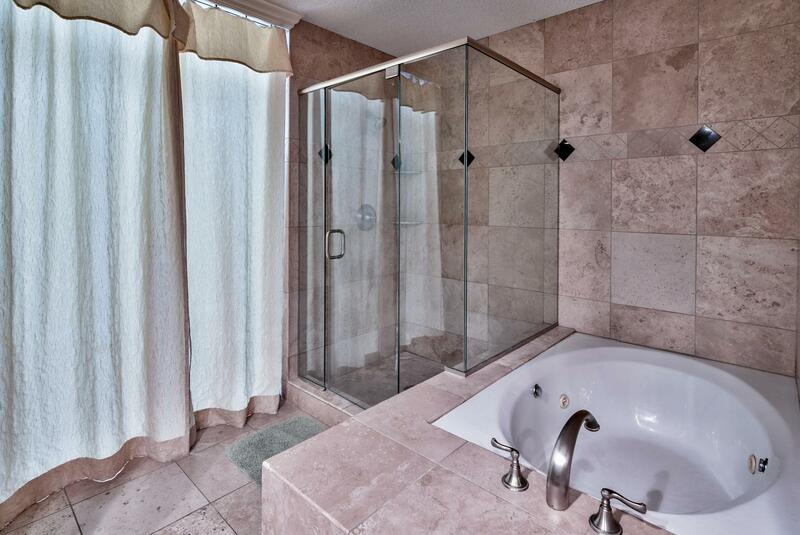 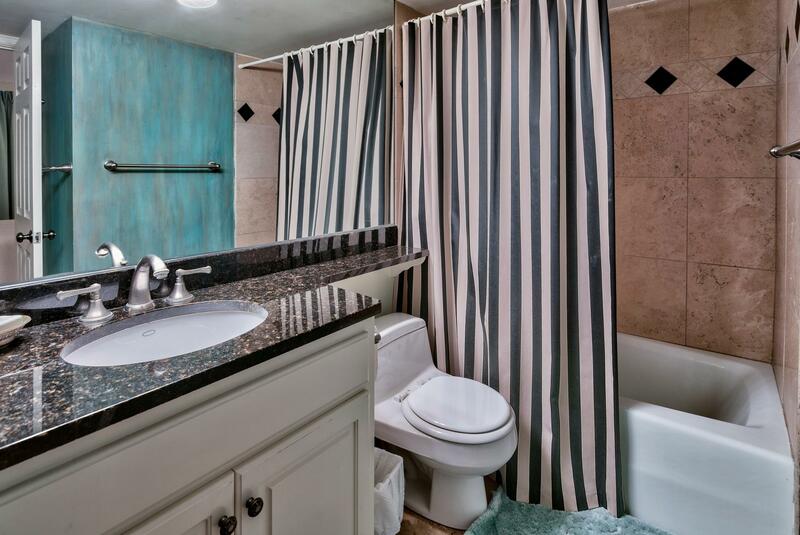 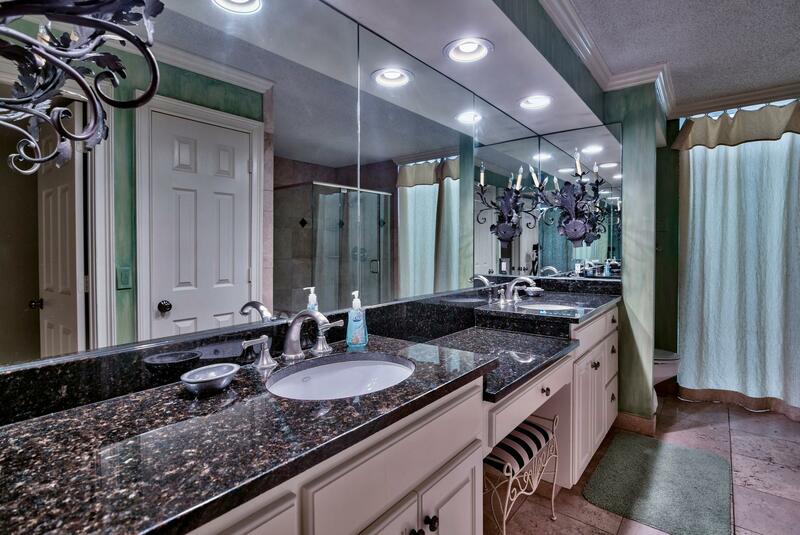 The Master bath has a soaking tub and separate shower; along with his & hers vanities. 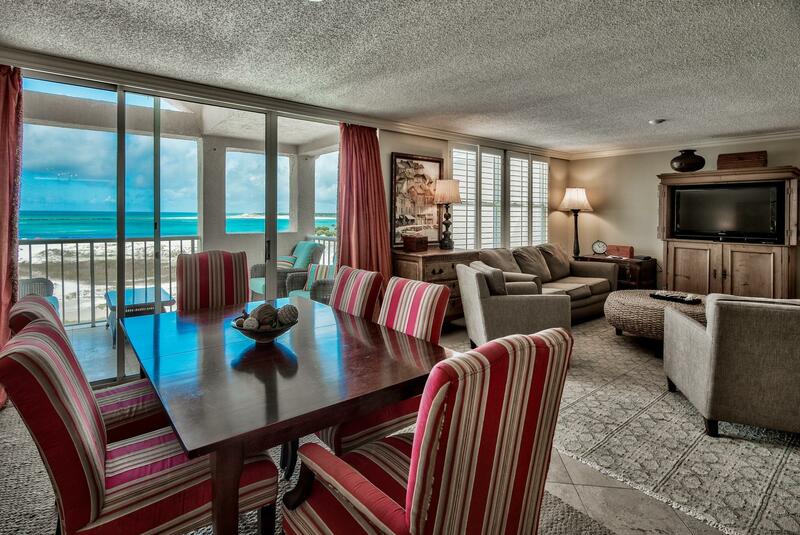 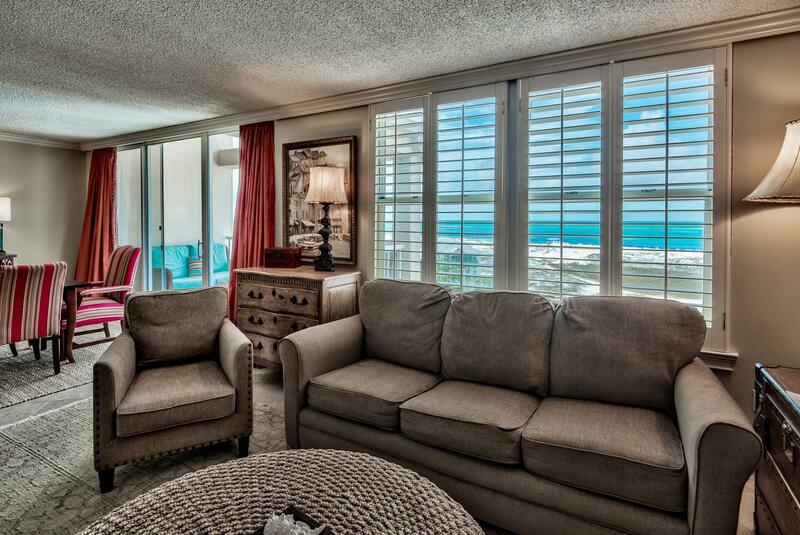 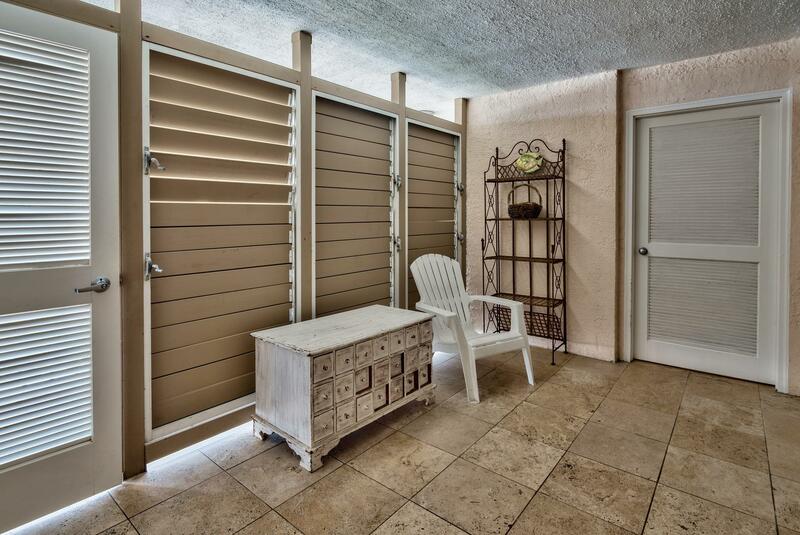 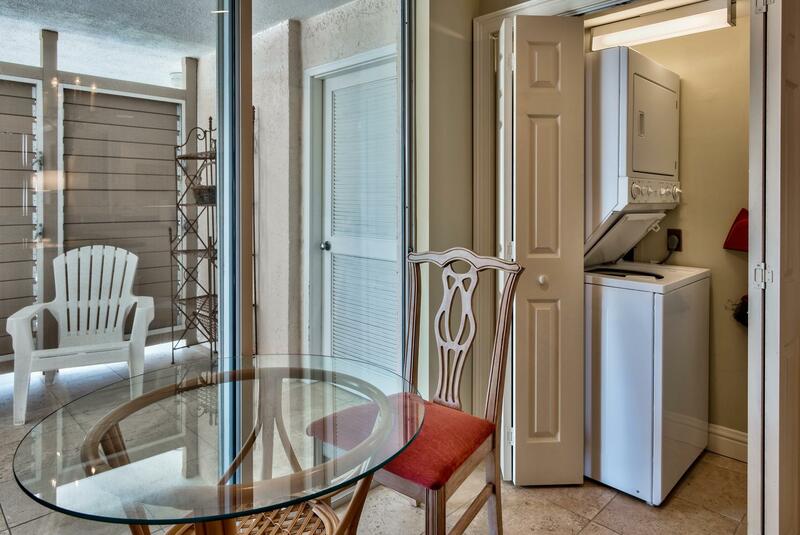 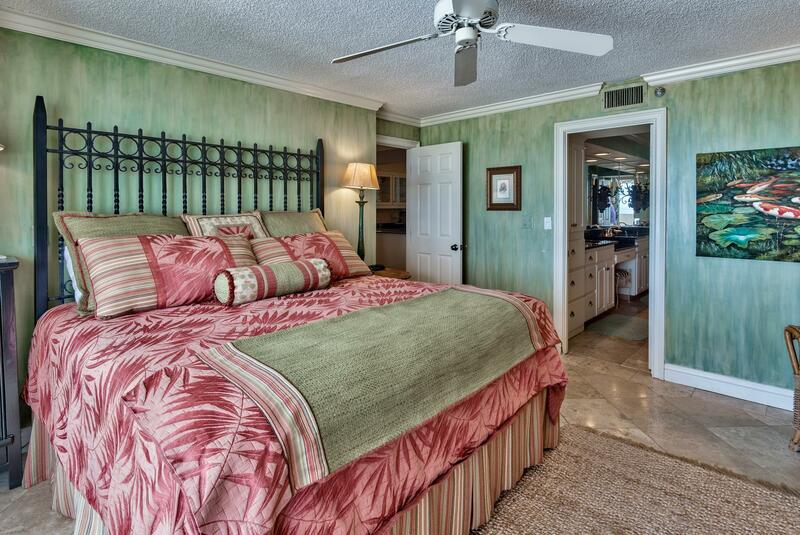 The front lanai allows for you to enter straight into the Master Bath upon returning from a day at the beach. 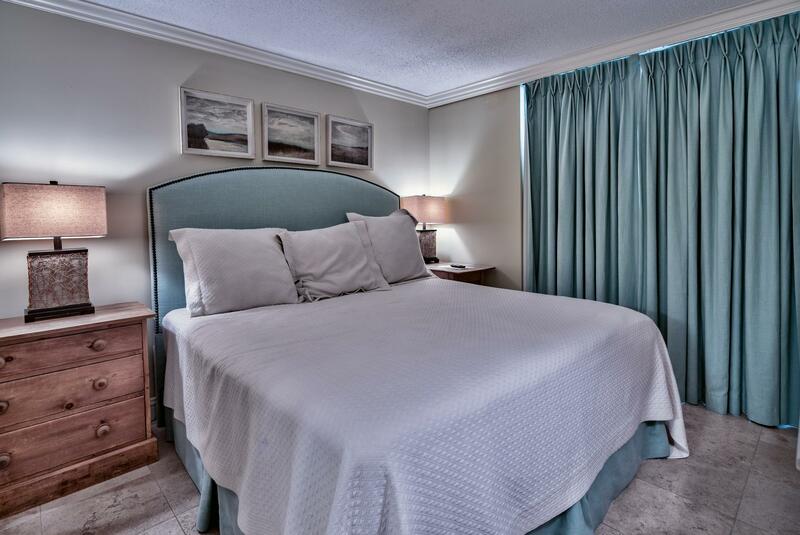 The large guest suite too has received the same thoughtful attention to detail. 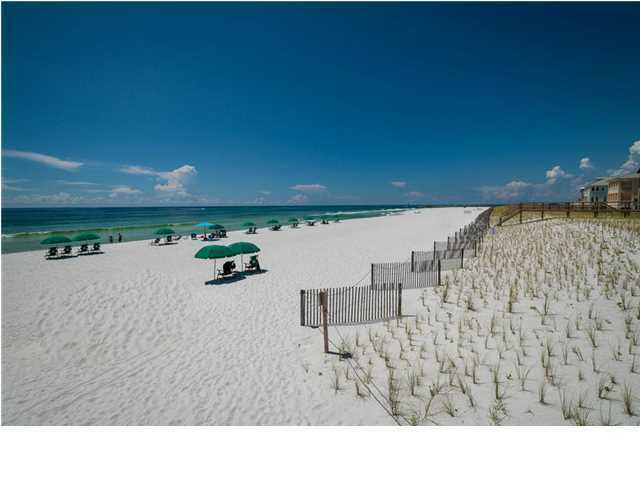 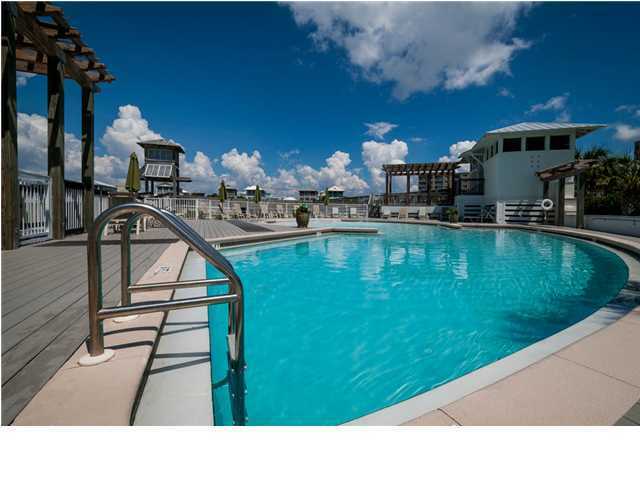 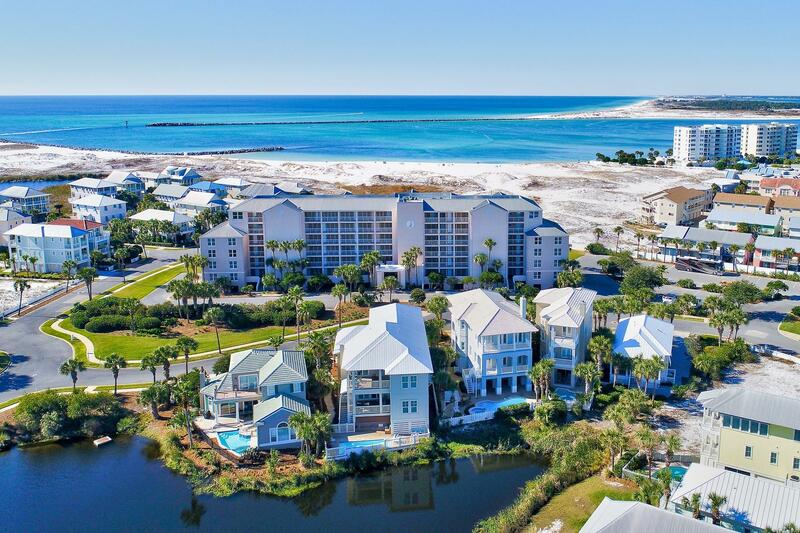 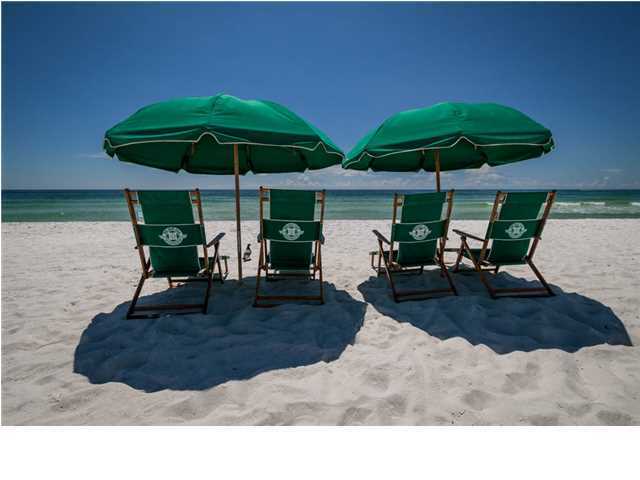 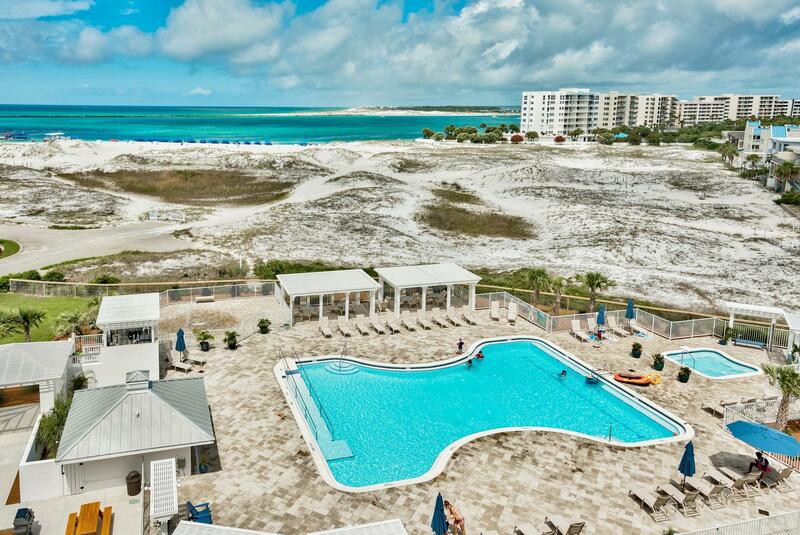 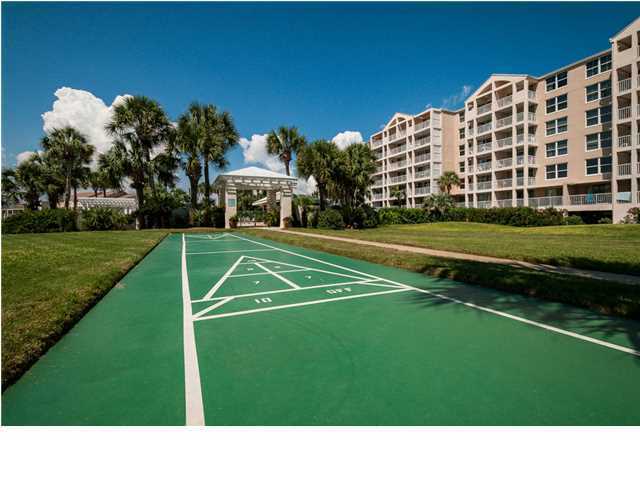 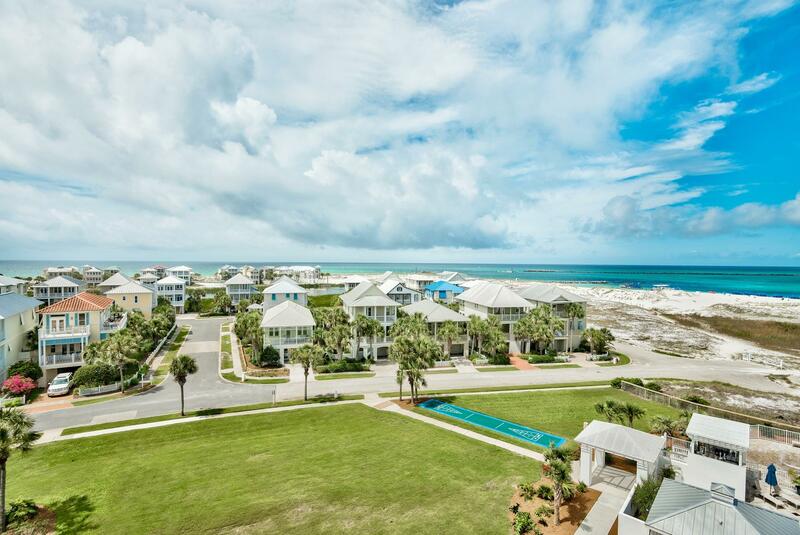 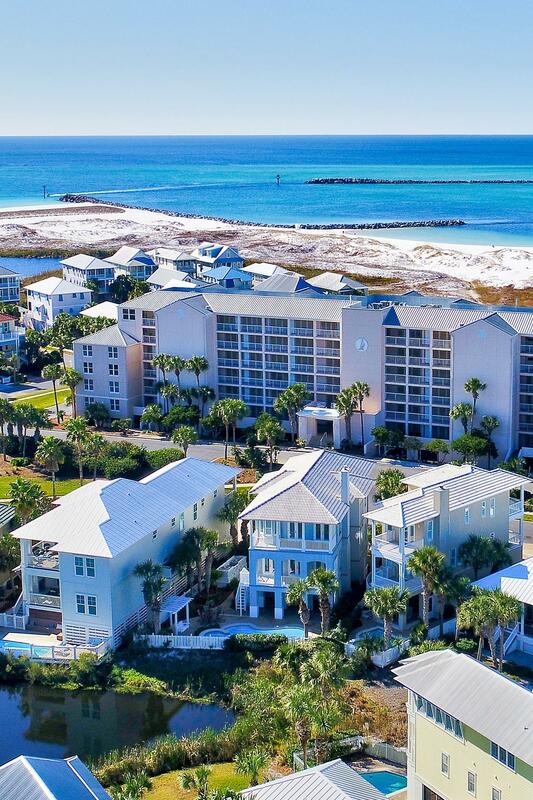 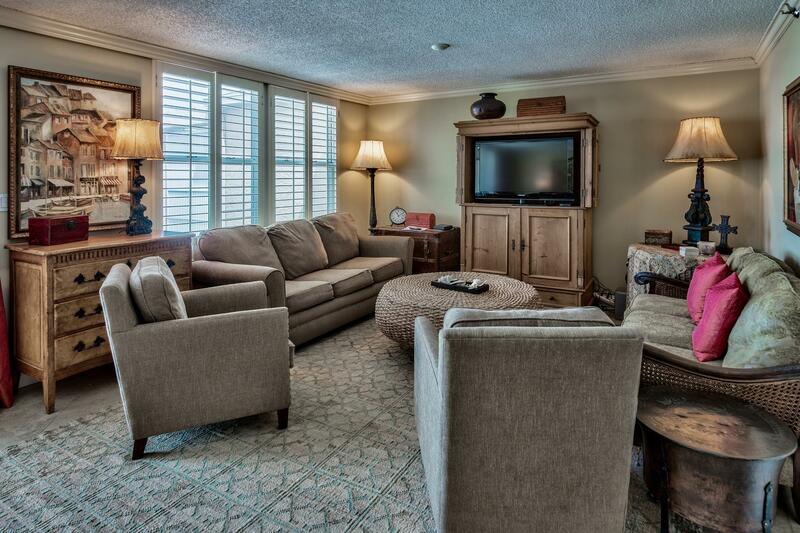 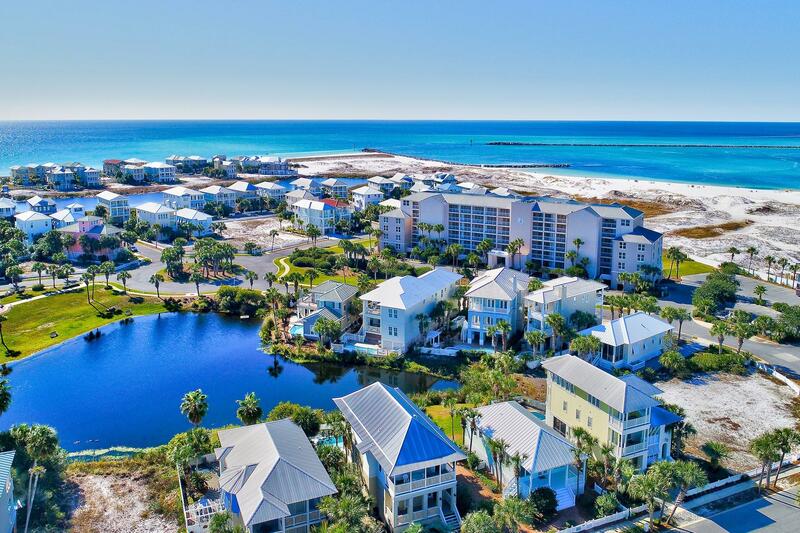 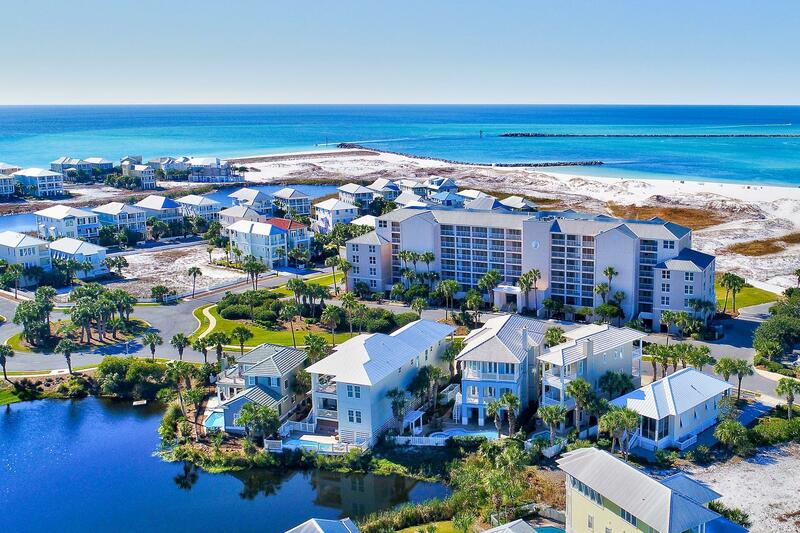 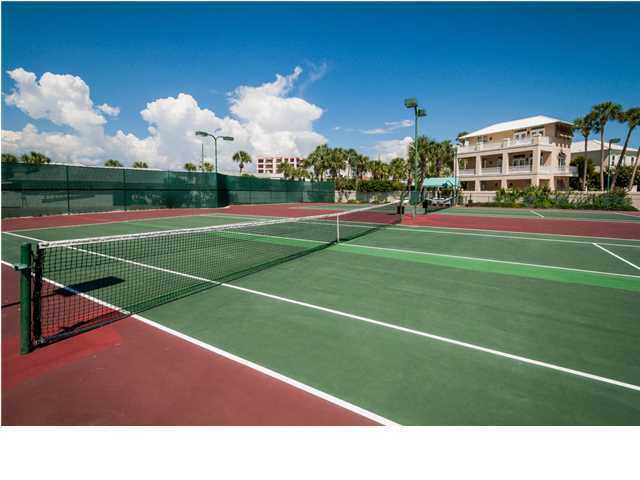 Magnolia House is a small condominium located in Destin Pointe, a gated island community featuring tennis courts, shuffle board courts, 2 community pools, more than 3,000 feet of beach frontage, 24 hour security and great views of the pass, harbor and coastal dune lakes. 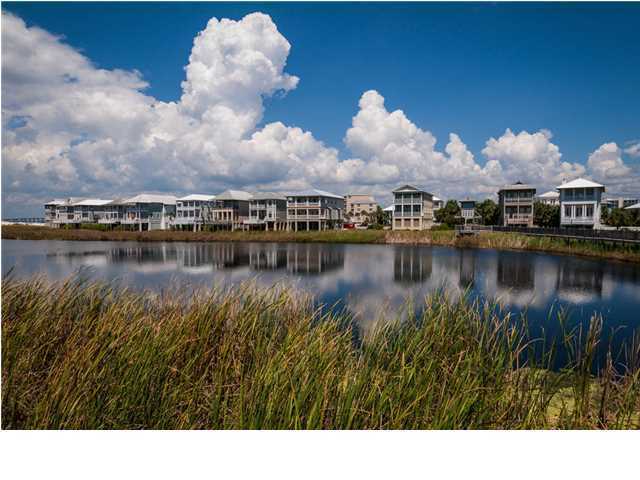 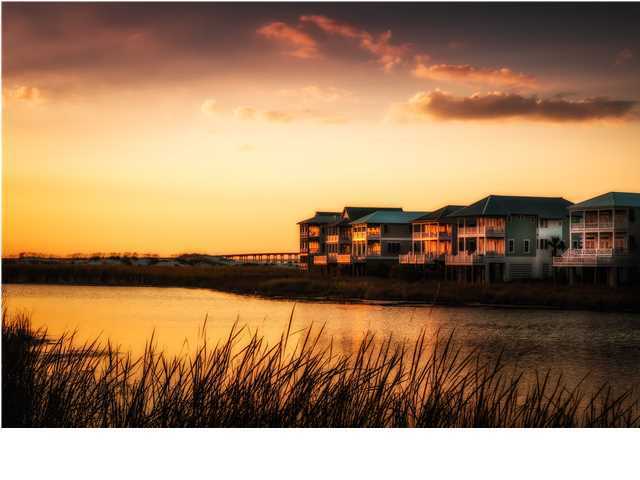 Come and experience island living in this one of a kind gated community.